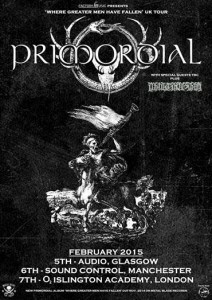 PRIMORDIAL’s upcoming offering “Where Greater Men Have Fallen“! 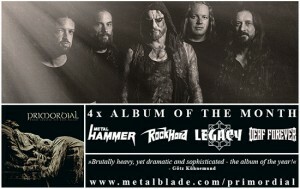 has won the soundchecks in all four major metal magazines: METAL HAMMER, ROCK HARD, DEAF FOREVER and LEGACY! This is the first time this has ever happened. “When you make an album, you try and step outside of the rehearsal and studio world and see if you still have the hunger and the energy. You take nothing for granted and we certainly don’t so we are humbled by the critical reaction so far. Four #1s was not what we expected but we accept it graciously and hope the fans feel the same. See you on the field of battle. Vae victis!” – A.A. Nemtheanga. 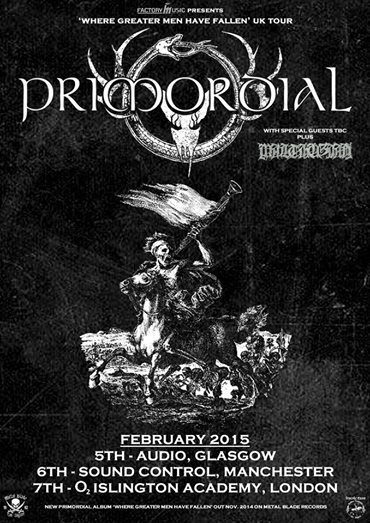 PRIMORDIAL will be hitting the stage to promote their upcoming new album, “Where Greater Men Have Fallen”. 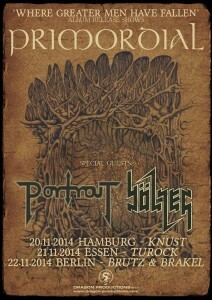 The band will be paying a visit to Germany with three live dates booked in Hamburg, Essen and Berlin this coming November. 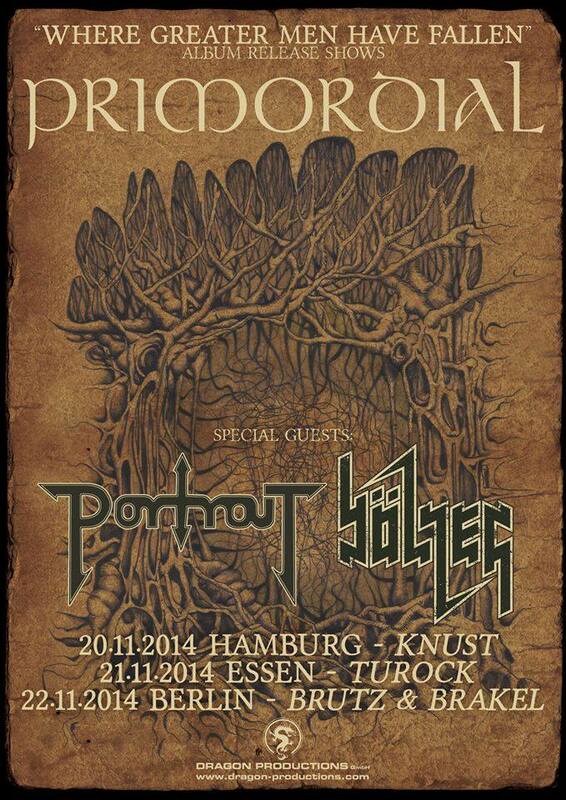 Tagging along with the band will be PORTRAIT and BÖLZER. 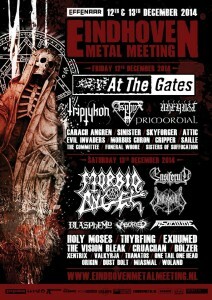 The band then play their record release party show in Dublin on November 28, 2014 as part of the bands two-day Redemption Fest at The Academy, five days after the release of their highly anticipated new album “Where Greater Men Have Fallen” on Metal Blade Records. Support for the launch gig will be from NECROS CHRISTOS, DEAD CONGREGATION and Dublin’s own MALTHUSIAN. The second night of Redemption Fest will take place in the Voodoo Lounge and see THE RUINS OF BEVERAST headlining with BÖLZER and local acts DREAD SOVEREIGN, THE WIZARDS OF FIRETOP MOUNTAIN and VIRCOLAC making their live debut. Also announced! 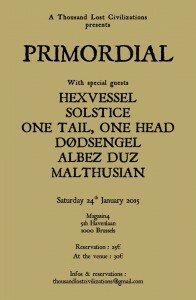 PRIMORDIAL will be heading to Brussels in Belgium on the 24th January 2015, as well as playing three shows in the UK including their first Glasgow appearance in ten years. Again! Fellow Dubliners MALTHUSIAN have already been added to the touring line-up for some dates, with the main support band yet to be revealed. 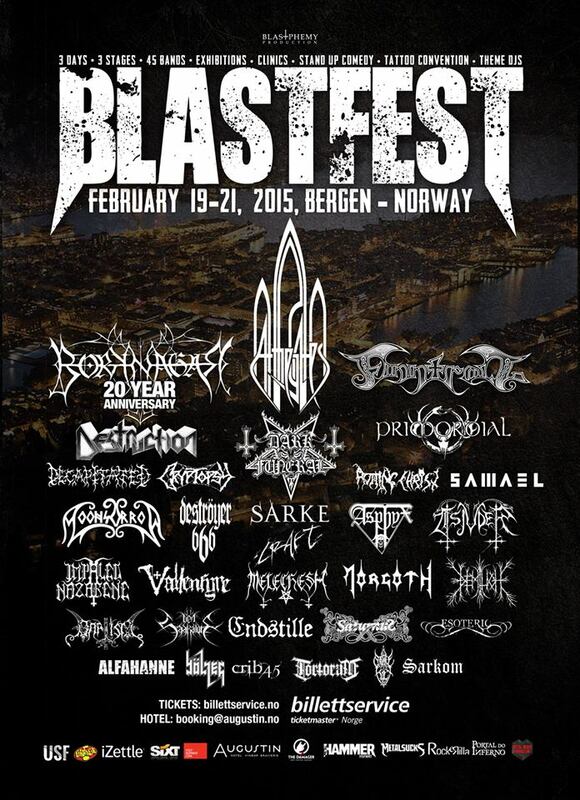 PRIMORDIAL will then head to Bergan, Norway later that month for BLASTFEST in Bergan, Norway on the 19th-21st February. “After the success of this year’s Bloodstock appearance, not to mention our two night stand in the UK for the last album, we can now announce a three date tour of the UK next February in support of our forthcoming “Where Greater Men Have Fallen” album. First support comes from up and coming Irish band MALTHUSIAN and a yet to be revealed main support will be announced in time. 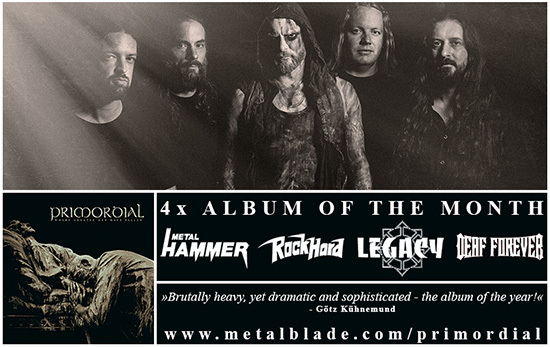 The UK has always been a loyal and dedicated stronghold for PRIMORDIAL so we are proud to be coming back under the speed of album number 8! In addition to returning to Manchester and London, we are excited to this time add our first visit to Glasgow in over a decade! Vae Victis!” – A.A. Nemtheanga. 17th Jul 2015…. 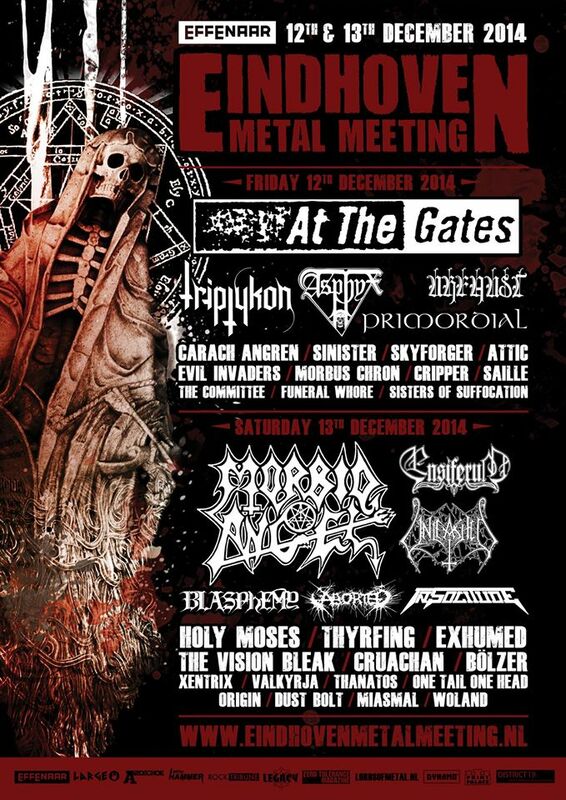 BALINGEN (DE) – Bang Your Head!! !